Across the glistening waters of Sydney Harbour lies the beauty of the Manly wharf which houses one of Sydney's finest restaurants, Merivale's Papi Chulo. This beautifully laid out and designed eatery gives off summer vibes all year round and serves up some of the most delicious seafood and smoked meats I've ever eaten. To make a night out of the full Papi Chulo experience, our group of four catches the ferry for a leisurely scenic ride through the harbour before docking right outside our evening destination. 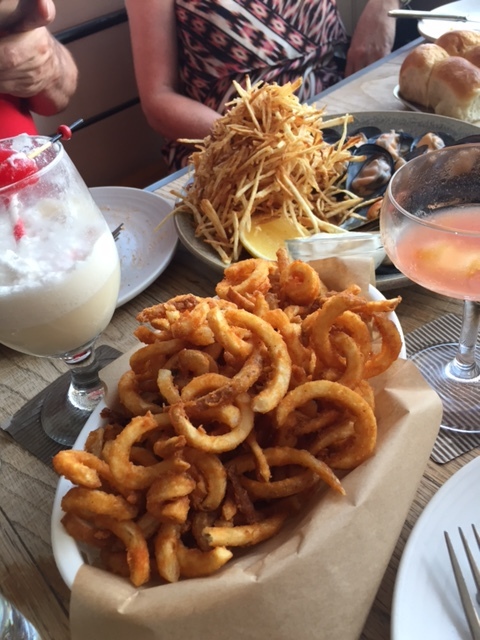 We enter the restaurant immediately noticing the beautiful, bright and beachy décor and are escorted by the friendly wait staff to a table against the window overlooking the water. I am instantly impressed by the detailed and unique cocktail menu, the extensive wine list and the fascinating menu where I am tempted to try just about everything listed. 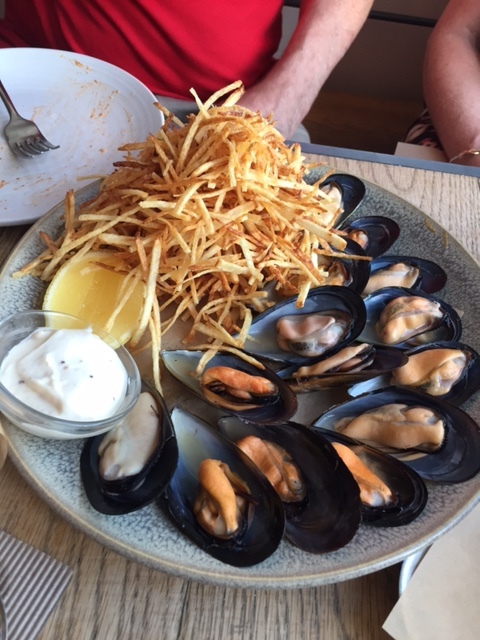 Between four of us, we decide on the oysters with apple rhubarb mignonette, a plate of mussels with pomme-frites and garlic aoli and the parmesan and brown butter-crumbed cauliflower to start with accompanied by a variety of drinks. I go for the Aperol Splice (Aperol, Prosecco, lime, orange and passionfruit) which goes down way too easily, but is wonderfully citrus-laden and refreshing. The seafood is tasty, tender and fresh – there's none of that day's old fishy taste here – and the cauliflower is to die for. Next up is some pulled pork with smoky Tennessee barbecue flavours accompanied by Vietnamese coleslaw and curly fries. To go with this I move onto the wine list, ordering the Italian Pino Grigio which is a favourite of the table. 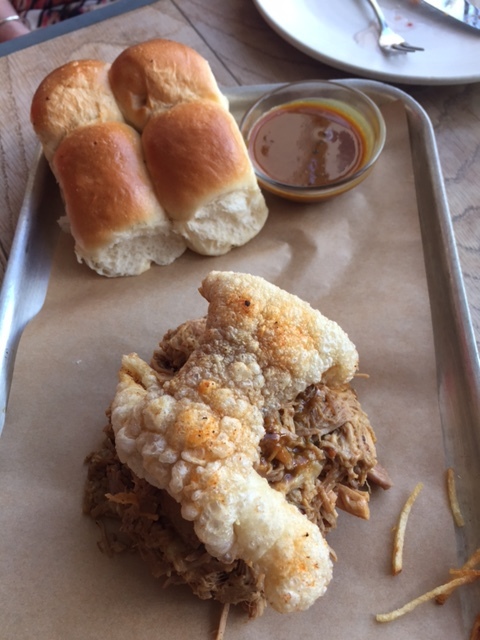 The pork is smoked and pulled apart to perfection and I create my own little pork sliders filled with the coleslaw, sauce and pork together in a fluffy bun. We eat and eat as the sun sets over the water and the Sydney sky turns pink and orange behind the clouds. This is a view I could definitely get used to. With a cheeky Negroni to finish, our group heads back towards the ferry completely unable to contemplate the dessert menu and sail back towards the bright lights of the Sydney CBD. As the Harbour Bridge looms ahead, I'm already planning my next trip to Papi Chulo to keep working my way through their brilliant menu. You can read up on Papi Chulo and drool over the menu here.